When you face the potential loss of personal files and software, PC Fixer is here to protect you from disaster with simple and effective ways to back up your computers. We can protect you against data loss from accidental deletion, or damage to your computer. Our repair experts are well-trained in securing your data. From simple online backups (we recommend CrashPlan - $50 per year unlimited data) to complex RAID systems, our repair techs cover all the bases. Call us and let our repair technicians know what assistance you require and to schedule an onsite appointment for an in-home computer service call. PC Fixer provides data backup systems of all types for any sort of information you might have. We can set up a simple backup system that will keep your information safe on an external hard drive, as well as an encrypted cloud storage service. This dual approach to data backup ensures that your important files can be recovered as quickly as possible from a guaranteed safe location. 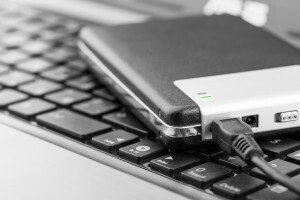 We can recommend numerous ways of keeping backup records, selecting suitable secondary storage for your needs, along with working to recover any information that may have already been lost. Ask us about our disaster recovery plans for the most prepared approach to complete backups and restoration scenarios. You don’t want to be caught flat-footed when your photos and documents are accidentally deleted, when a partition on a disk drive has been corrupted, or when files are lost or missing due to hardware failure. This could result in costly data recovery services. The repair techs at PC Fixer in Los Angeles have the expertise to protect your irreplaceable files and recover hard drive data you feared was lost. Our mobile technicians will come to you at home to protect and backup your files. Call PC Fixer today at 310.948.0588 and let us help protect and defend your files for you before it’s too late. If you are not in a rush please feel free to email us at info@pcsfixer.com and we will respond to your inquiry as soon as possible.